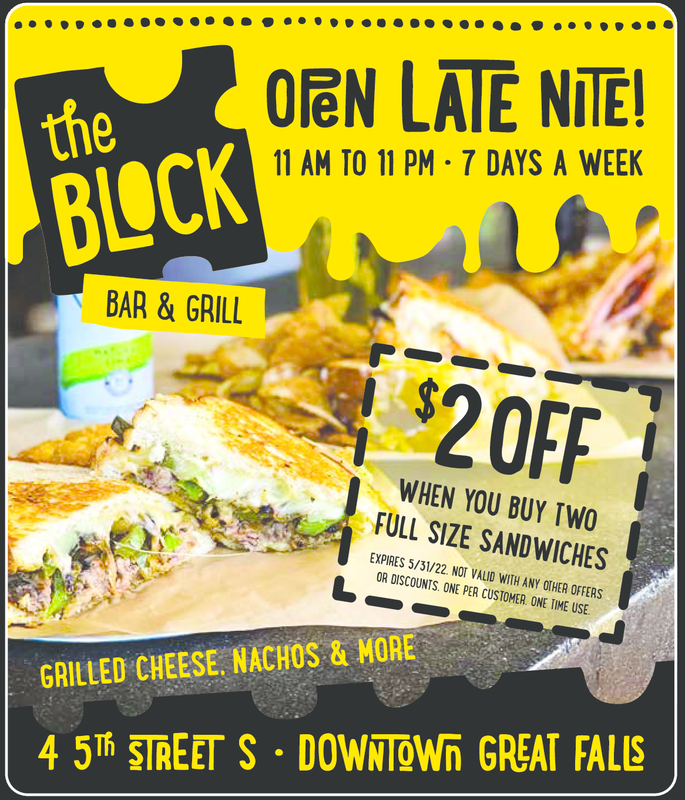 The Block Bar and Grill located in Downtown Great Falls Montana will be opening in early 2019! What a treat this will be! $1.00 Off Any Size Sandwich!